​Is there life after death? 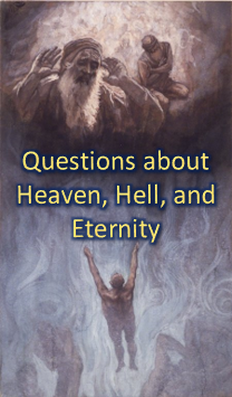 Are books such as 90 minutes in Heaven and 23 minutes in Hell biblically based? What is paradise? Is it different than heaven? Where do people go when they die until Christ comes back? How do I find comfort and peace when I have lost a loved one? Will there be such a thing as gender in Heaven? What is the difference between Sheol, Hades, Hell, the lake of fire, Paradise, and Abraham's bosom? Will we be naked in Heaven? How to get to heaven - what are the ideas from the different religions? How does the Bible describe the glorified bodies we will possess in Heaven? Is it biblical to say "˜rest in peace' (RIP) in regards to someone who has died? What kind of bodies will people have in hell? Are there pearly gates in heaven?